AH DAMN! Now you did it! I wish that I had seen your comment sooner, about bead blasting the mechanism. possible, there are ways to clean parts, so as to retain its originality. I know you sent me your phone number, but did not have time to call as yet, because of family visiting. Will try ASAP. Until then, please park this project, and put a model kit together, or the like. So now, as for damage control, should I clearcoat the bare metal parts? As for the paint, it appears to me that some of the spots were touched up in the past, so all in all, it might not be all original paint. But mostly original as best as I can tell. Learning the hard way. I gotta be less stubborn on this kind of thing. Could you please post the serial number. That is one fine machine glad to see you are heeding the advice of some knowledgeable people. A few of us out there appreciate real examples of these fantastic feats of engineering. Here are a few numbers to compare. 1277, 5096, and 7725. You should register this machine in the CoinOpRegistry (http://www.CoinOpRegistry.com). That is the place to record serial numbers. You can also upload a photo. Dave wrote: You should register this machine in the CoinOpRegistry (http://www.CoinOpRegistry.com). That is the place to record serial numbers. You can also upload a photo. 7455. That would put it right where it is supposed to be, in the range for that model. I believe Bill is right about that extra digit ahead of the serial number. A couple of other observations: Both sides of the machine have the Rock-Ola stickers in place - but - there are shadows of stickers painstakingly removed on the sides, in the shape of the Jennings stickers. So, why would there have been both Jennings stickers AND Rock-ola stickers on the sides? On the instruction card, someone cut a rectangle out of the upper text, I believe might have been the Jennings name. Maybe someone can compare their inside door card with the one I posted to see what was cut out of it. In addition to manufacturing jukeboxes, pinball machines, trade stimulators, scales, and more, ROCKOLA also revamped slot machines. they also bought used machines, and / or took them in on trade. subsequently, they would put their decal on the side to promote their sales instead of the original manufacturer. All machines they handled were not revamped. Other than probably going through the machine to make sure it worked properly for the next operator, they did nothing. Again, as you have been advised by numerous collectors and historians, ...YOUR MACHINE IS EXCEPTIONALLY CLEAN, AND ORIGINAL. NOTHING... AS IN NOTHING... (other than replace the glass) should be done to your machine. This means do not change the paper. 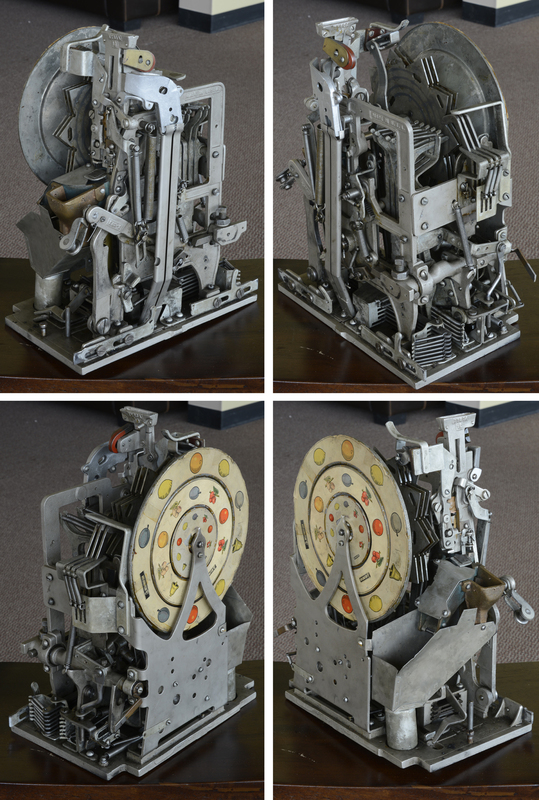 do not disassemble the mechanism. you have one of the nicest original little dukes on the planet. LEAVE IT AS IT IS!!. AND, don't remove the rockola decal, as it is an interesting part of the machines history. If you are that anxious to restore a machine, buy a rough one and restore it, but don't destroy the integrity of the machine you have. Ditto, to all of the above, by midwest. Mills "Little Perfection", with Rex Novelty Co. decals, where the Mills decals were usually placed. Now that I know the reason behind the missing decals, it makes total sense. It will just be a clean and tidy original when I get it done. I will post detailed pictures along the way, and will be taking detailed pictures of the mechanisms, so future generations will know what an original is supposed to look like. 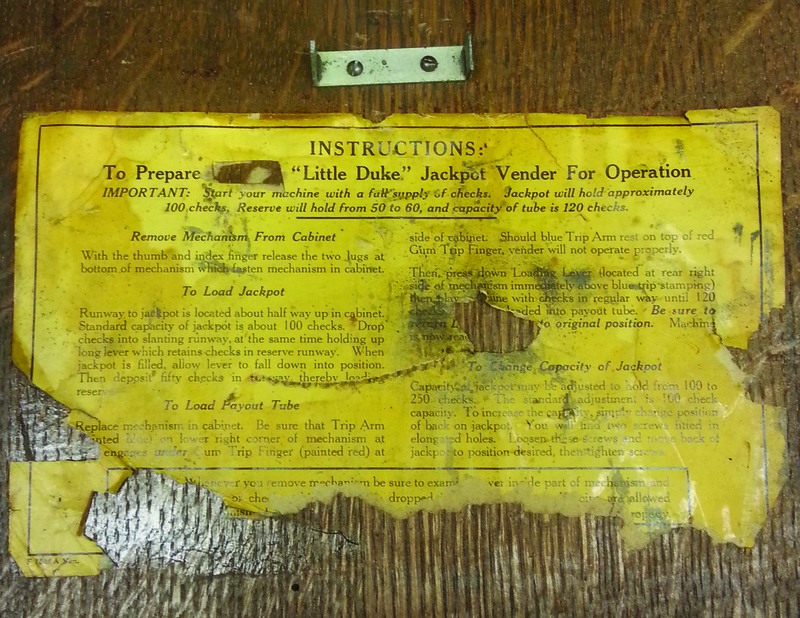 I read somewhere that one of the tech writers planned on putting together an "owners and restorers manual" of the Little Duke, but have had no luck finding that piece, so it might not have ever been published. 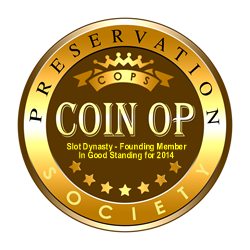 It would be good for everyone if "restoration and repair tips" had its own forum heading, so I'm voting for it. Anyone have any thoughts on this, or am I going too far with the internet information channels? Just a thought. I have a Bell Boy that I plan on taking dozens of pictures of, and putting those somewhere. 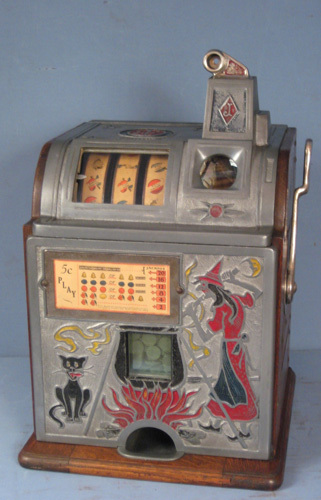 Midcoast Vintage wrote: In addition to manufacturing jukeboxes, pinball machines, trade stimulators, scales, and more, ROCKOLA also revamped slot machines. And there is evidence the Jennings decals on both sides were carefully removed. RockOla made the machine appear to be their own. So, this is the way it's gonna stay. 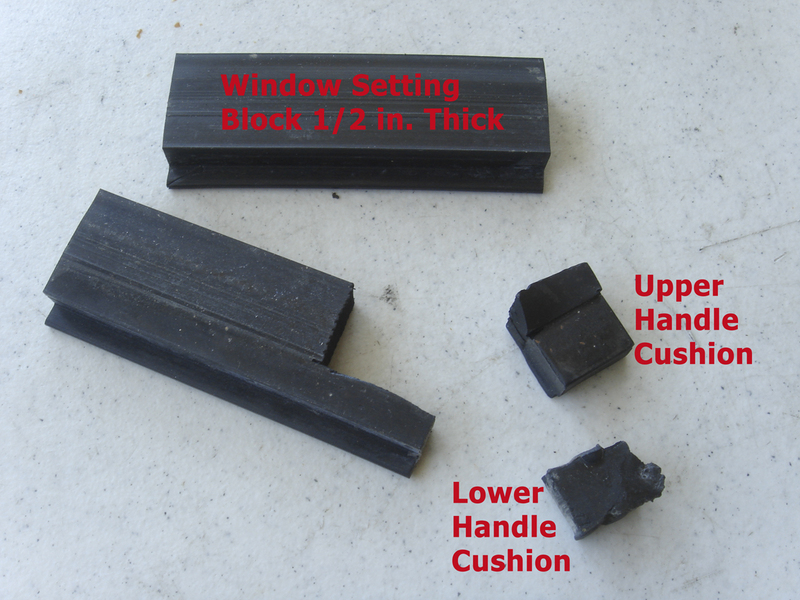 Anyone out there into window glazing would be able to identify these rubber blocks.